EARTH DAY IS AROUND THE CORNER and we are looking to spread the message to how the community can help save Earth Day. To do this, we want you and our neighbours to send a photo or drawing of how you help the Earth. Whether a big or small act, it all counts. To spice things up, the best photo with the most votes will win $250 dollars. 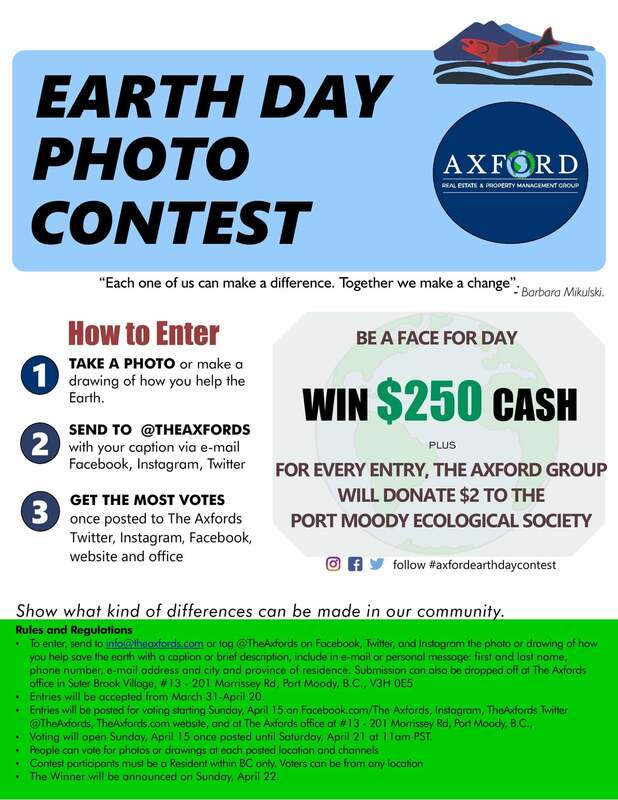 Also, for every photo entry, The Axfords group will be donating $2 to the Port Moody Ecological Society who are local volunteering heroes who provide water quality testing and operate a salmon hatchery. Share with your friends for their chance to win!